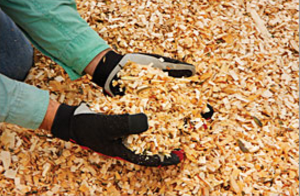 ​Here at Bisson Services, we have a great deal of experience, knowledgeable staff, and the right equipment to handle all tree related issues that may arise. This may also include high risk or complicated scenarios. We do our work very efficiently and safely, and when necessary, we work with local authorities in order to ensure the same. Our staff is well trained and is very professional in all their undertakings. We are happy to provide the people of Ottawa, Ontario with excellent services, and we offer a free estimate so that you can know exactly how much the job will cost you even before we begin. It is very important to use the services of a licensed, experienced, and professional tree cutting company, as this will not only save you money in the long run, but will keep you safe as well. At Bisson Services, we have a long history of providing excellent quality tree care and removal services, while making our clients feel like family. We have accumulated quite the collection of case studies throughout the time we have been serving the people of Ontario. Take a look at just a few of the reasons our clients continue to trust us with their homes and property. A large hickory tree that was growing right next to a kindergarten classroom was noticed to be swaying a little too much during heavy winds. After a period of surveillance, it was agreed that the tree had to be brought down. We started by first removing the branches, and then cut down the top part of the tree first, because it was too long and could fall on top of the building. We then used the tree parts that we had already cut as a cushion to break the fall, as we cut down the remaining trunk of the tree. This was done quickly and professionally, and no structure or person was harmed when the tree came down. We finished by digging out the stump, and we ensured that there was no hole left in the ground where it had been. In Orleans, there was a once beautiful and leafy tree that had added beauty in the garden of an office compound. Sadly, the tree had suffered irreversible damage in a serious storm, and had to be removed. After the storm had passed, the tree was left looking ugly and unattractive. When we were called upon, we arrived promptly and cut down the tree with our top-quality equipment. The tree was quite large, and we chipped its branches using our portable wood chipper, before clearing the larger sections of tree trunk from the site. In the end, the office garden was left looking beautiful, neat, and spacious. A large number of poplar trees were in the way of a quarry company who wanted to widen their operation site. They engaged our services to help remove the trees so that they would have the space they needed to extract gravel. Because Bisson Services cares for the environment and nature, we assessed the poplar trees to ensure that no birds had made nests in the branches, so as not to render them homeless. After this was determined, we felled the trees and chipped the wood. The trees weighed more than 100 tonnes in total; because we are well equipped with modern and powerful machinery, we were able to do it all in one day. During a windstorm late one night, a family in Navan noticed that their favourite tree was leaning too far towards their roof. They decided not to take a risk, and called us immediately to inform us of what was happening. 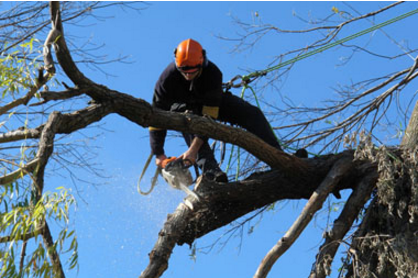 We are a 24-hour tree service company, and we respond very quickly to emergencies. Our experts realized right away that this tree was posing enough danger to constitute an emergency; thankfully we were able to rush to the site and handle the situation before the tree could cause any serious damage to the house. We first cut off the branches that had started leaning against the roof of the house. We then felled the tree safely in the opposite direction, leaving no harm to the house. One client with a cedar hedge needed to have it trimmed, but did not know how to go about it. We visited the client’s home to assess what needed to be done, and provided a fair estimate, which to the client’s relief, was lower than the price he had been quoted by two previous companies. We then trimmed the cedar to form a neat and beautiful hedge which immediately added class to the home. We ensured that the hedge would receive enough sunlight and air so that it could grow well, healthy and dense. The result was a beautiful hedge, a beautiful home, and a happy client. Oak trees are some of the most common veteran trees; an oak can live to be over 1000 years old. Bisson Services was trusted to save the life of one such oak tree that was almost succumbing to the weight of its own branches. We carefully trimmed and pruned the heavy branches from the oak tree, making sure that we did not harm the tree in any way. The tree remained strong and unharmed, and we carefully chipped the branches that we had trimmed so that the property owner could use them for mulch. A family was unhappy with a huge tree stump that had been left in their backyard after a tree had been cut down several years ago. Since they wanted a larger play area for the kids, they decided to get rid of the stump which was in the middle of their backyard. We brought in a stump grinder and quickly got rid of the stump. Safety of the staff and the family was ensured, and no one was in danger of being injured in any way. Once we had removed and ground the stump, we filled the hole with the wood chippings and covered it neatly with topsoil. We then made sure that the area had been left looking neat and safe for the children to play on immediately. A real estate company was getting ready to construct a new apartment building. There were a lot of trees, in a variety of different species, and both old and young, growing all over their construction site; no work could begin before getting rid of the trees. We made a quick survey of the property, delivered our estimate, and using the right machinery for the job we quickly got to work. We efficiently felled all the trees that were in the construction area, and got rid of all the stumps. The construction then began immediately, with nothing obstructing their way. One of our clients noticed that one of the trees in his yard, a handsome basswood, had grown too large and was almost reaching the power lines. After careful analysis, it was apparent that the tree was posing a threat and had to be trimmed. We immediately trimmed the basswood tree down to a more manageable size, in order to keep the man’s home and the neighbouring homes safe. We did not cut down the tree, as trimming its branches and tip solved the problem. A pine tree growing next to a major road was found to pose the risk of blocking the road, should it fall or lose branches during a heavy storm. Because it was situated right next to the road, there was a possibility that it could cause a nasty accident if it happened to fall on top of a car. We worked together with local authorities to help block the road and control traffic during the felling process. We then removed the pine tree, ensuring the safety of all who were on the site. We then cleared the road, chipped the branches, and carried away the bigger tree trunks for proper disposal. One private school wanted to construct a helipad on one of its fields. This field, however, had several trees and tree stumps on it. For safe landing of the helicopters, a large number of trees had to be removed from the area before the helipad could be constructed. 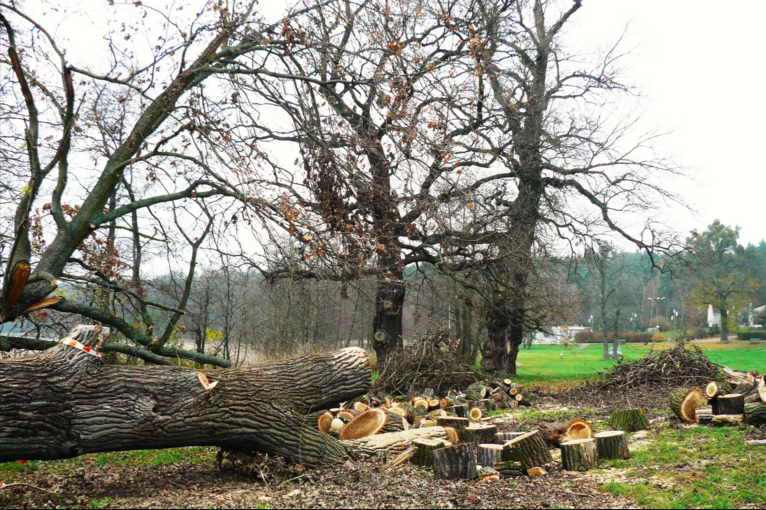 After the site visit and inspection, we immediately started cutting down the trees and grinding the tree stumps. Although it was more than a day's work, we accomplished our task in the shortest time possible, and we were able to clear the site in time for the school to begin construction. Since they had wanted to grow grass after the construction, they requested for us to get rid of all the wood chippings, sawdust, and tree trunks, which we did at no extra charge, before leaving the site looking neat and tidy. 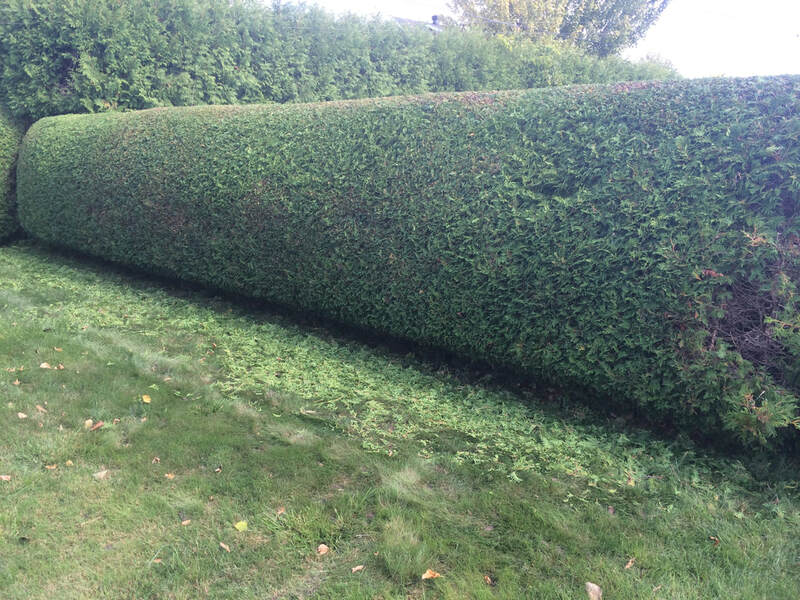 One of our clients noticed that the hedges around her home were getting out of shape. She opted to call us and schedule an appointment for our hedge trimming service. We proceeded to neatly trim and beautify the hedges, allowing them to fully access the sun and get good airflow. We offered our client our expert advice on how best to treat the hedges to make them last longer and grow full and lush. We not only left the client with a more beautiful home, but also a huge smile on her face. With Bisson Services you can be sure that we are your one-stop shop for all the tree services that you need for your home or workplace. We are ever ready to provide the best service at a very competitive rate. Here in Ottawa, Ontario, we are proud to give our expert services to both residential and commercial clients. Our services are guaranteed to make you happy, and our prices are a value for your money. Call us today for a free estimate.